Pack up the friends and family and come celebrate Holiday Snow Days and Winter Nights at LEGOLAND California Resort. The popular park has already begun its annual winter celebration, a true a winter wonderland with real snow and seasonal activities. At Ticketsatwork.com you can get 4 days free with the Hopper ticket – Holiday Snow Days included! Plan a visit to LEGOLAND California Resort today and get set to build a snowman with LEGO® accessories and throw real snowballs at colorful targets. There are nightly tree lighting ceremonies of the 30-foot tall LEGO Christmas Tree (made from 245,000-plus Duplo bricks) and nightly fireworks and entertainment with LEGO Friends Live. A life-sized LEGO Brick Santa and Reindeer make the perfect family photo. The whole family can ring in the New Year with live music and entertainment + an early evening Lego brick drop followed by fireworks on Dec. 31. Every day is a Holiday Snow Day at LEGOLAND® California Resort. 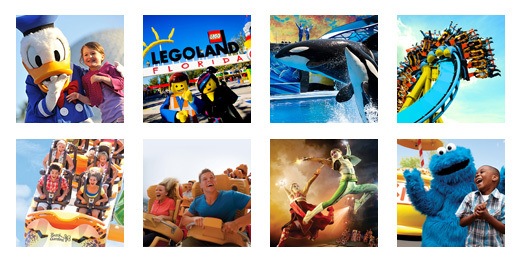 But don’t forget all the other fun stuff at LEGOLAND; rides and attractions like Land of Adventure, Explorer Island, LEGO Friends Heartlake City, Pirate Shores, and Castle Hill will keep everyone happy and busy all day long! Whether you’re a Southern California local, or just looking for a fun place to getaway with the family during the holidays, LEGOLAND California Resort is an ideal option; first visit TicketsatWork.com, the enjoy Holiday Snow Days + Winter Nights! The snow is falling at LEGOLAND California Resort! Have a great time! The winter fun runs through January 3, 2016.